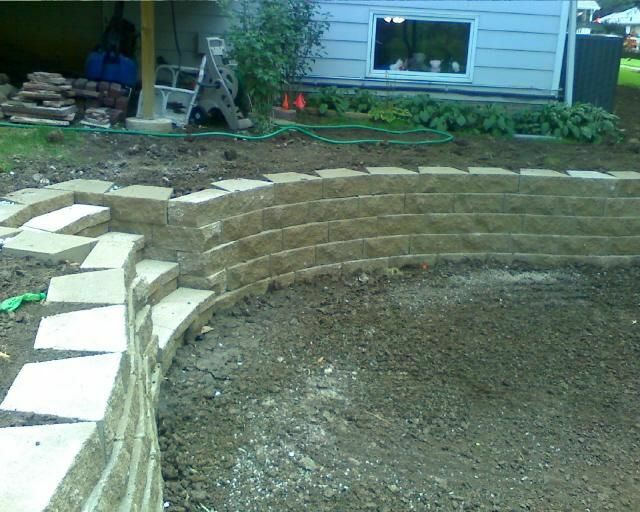 When we talk about a retaining wall, what, exactly, are we talking about? 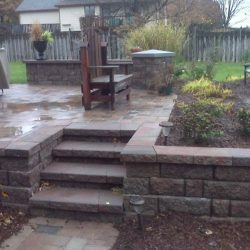 Essentially, retaining walls are designed to hold back and stabilize either soil or water that lies between two different elevations. 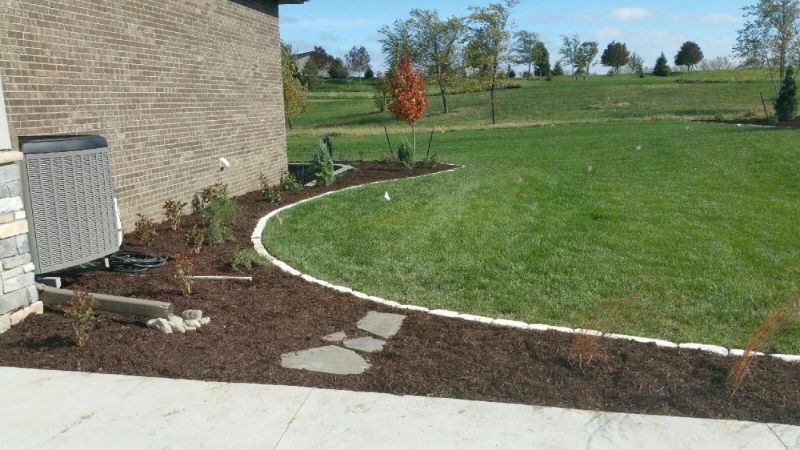 You’ll see them used frequently in farming and highway overpasses, but look a little closer and you’ll also see they’re a common feature in residential and professional landscaping. 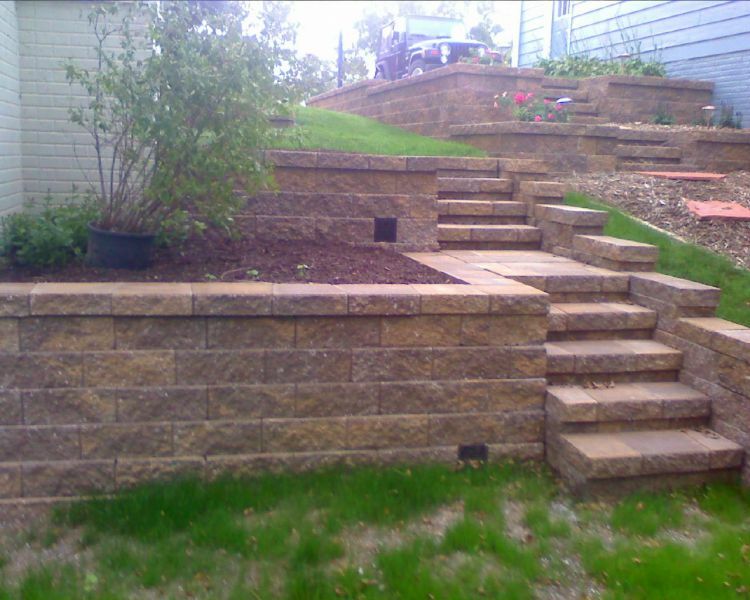 While retaining walls are typically installed for a functional purpose, they don’t have to have an undesirable look. 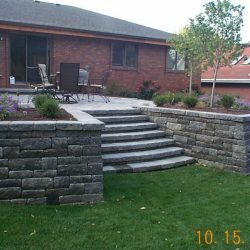 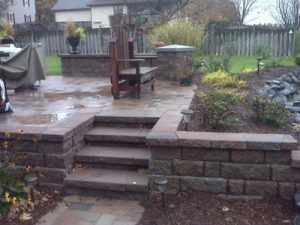 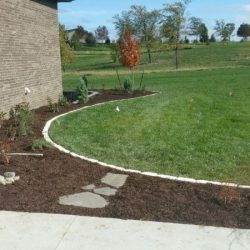 With proper retaining wall design, they can be a gorgeous addition to any landscape and enhance the aesthetic features while providing a functional need. 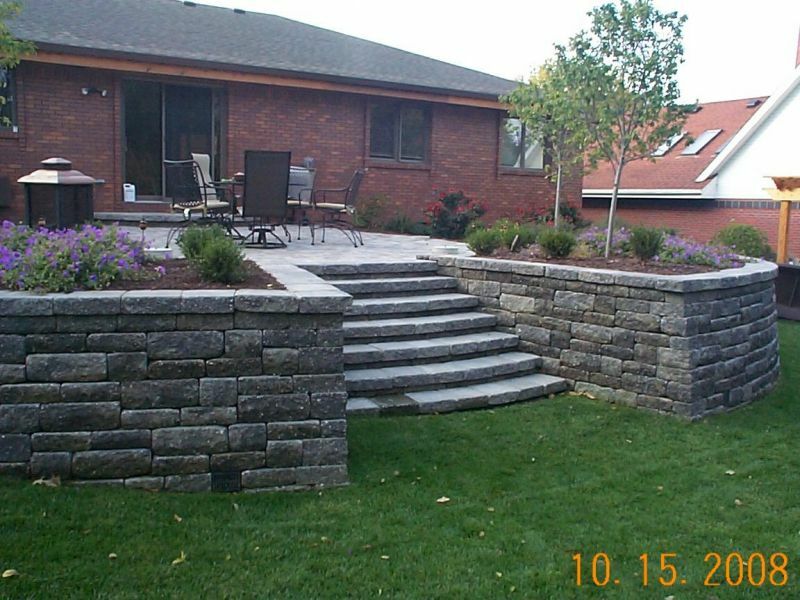 To ensure your retaining wall is installed properly and endures the seasons, partner with the professionals at New Horizon Landscaping. 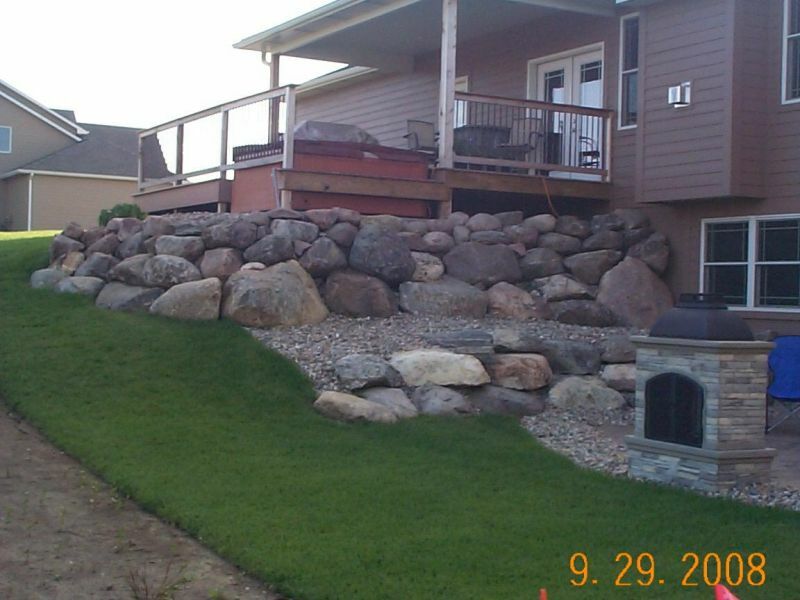 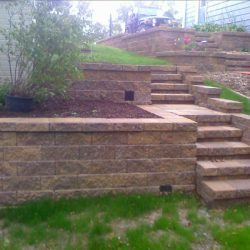 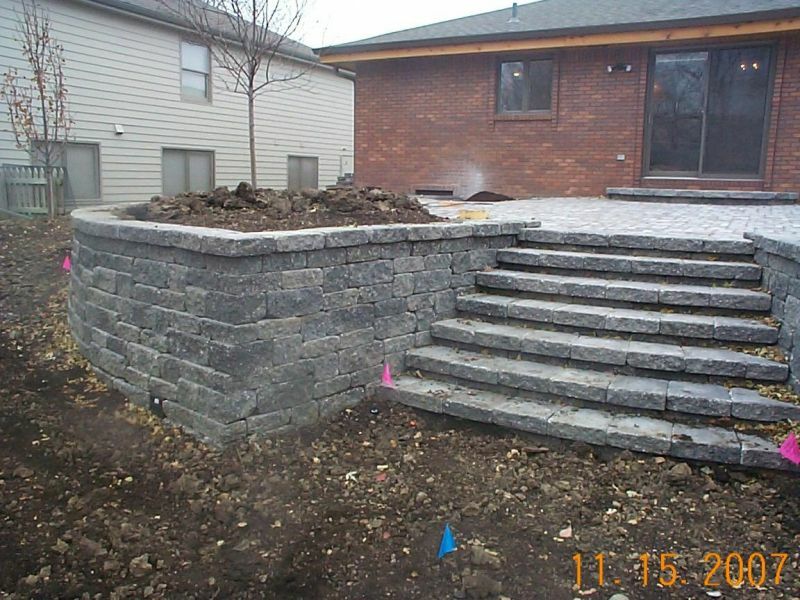 We specialize in both pre-cast (block) retaining walls and natural rock retaining walls. 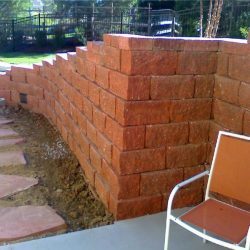 All walls are installed by our project managers, who have many years of experience to ensure the desired look and longevity that you deserve. 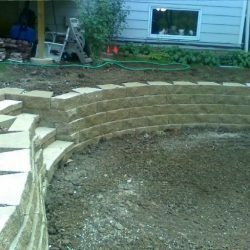 Retaining wall construction isn’t something to be taken lightly, so make sure you hire professional hardscapers. We offer many different styles and colors and source our materials from many different companies. 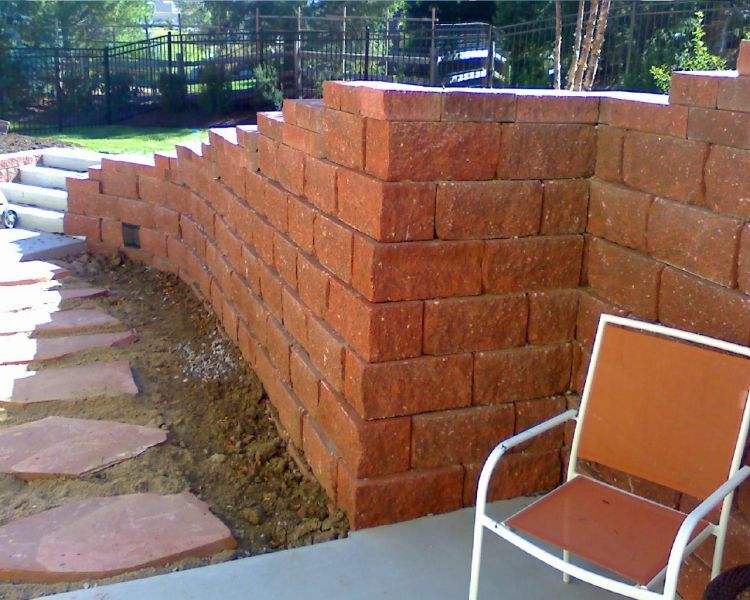 Just tell us which materials you would like to see your walls made from, and we can find it. 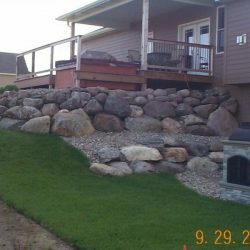 If you find a material that we don’t carry, we’re happy to use what you have. 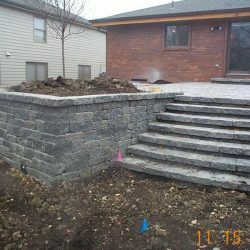 For more information or to get a free estimate, contact us online or by phone today.